As many know, Michael Jackson touched many people around the world and the news of his death brought many tribute performances from around the globe, and one of those took place from a Philippine prison. The prisoners took to the yard and performed Michael Jackson’s “Thriller” scene back in 2009. 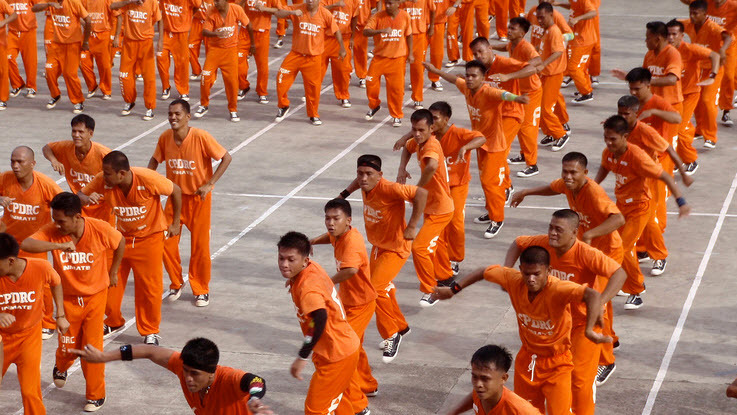 There were nearly 1400 prisoners who took part in the Thriller dance according to reports by CNN. In searing temperatures, 1,400 men in bright orange tracksuits performed the 15-minute “Thriller” routine perfectly. They rehearsed for 10 hours the previous day, finally stopping at 3 a.m. to rest ahead of the show.